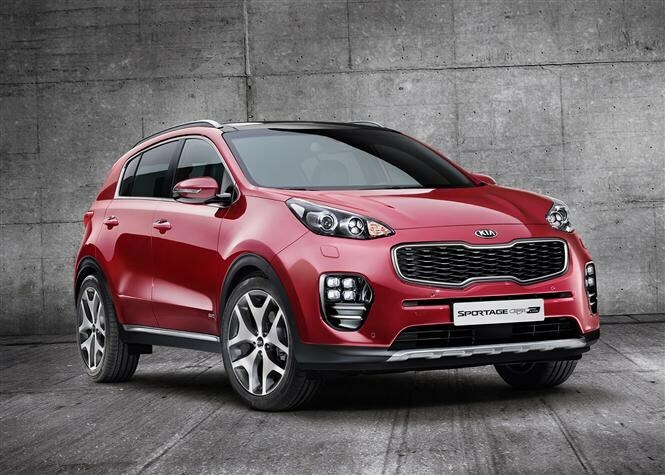 The Kia Sportage has been given a bold new look for its fourth generation, with the Korean manufacturer hoping to attract even more buyers to its best selling model.It's a competitive market with such rivals as the Skoda Yeti, Nissan Qashqai and Ford Kuga so an all-new model is key to unlocking more sales. 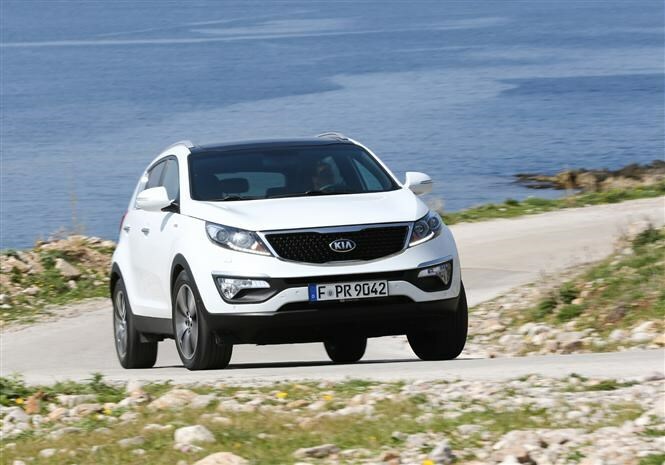 The current Kia Sportage looks plainer in comparison to the new model, which has ditched the Honda CR-V-a-like combination of clamshell bonnet and integrated lights and grille (below). The brand's trademark tiger-nose grille really stands out. It has a bit more room and a bolder frame, giving the front end of the car more depth. 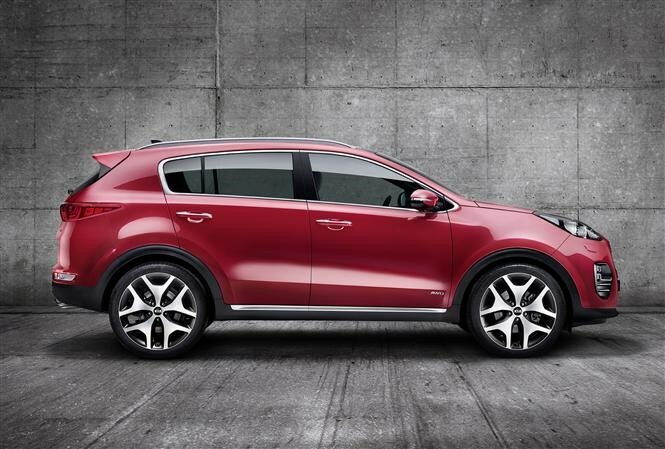 It’s quite an imposing design that will definitely get attract attention while looming in your rear-view. 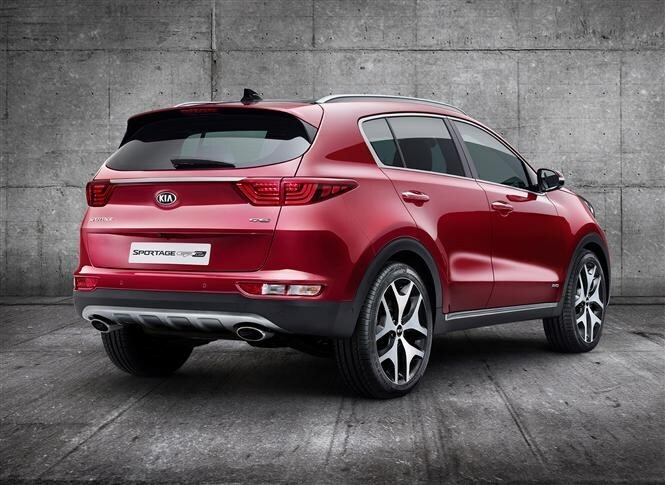 Kia says it took design cues for the new Sportage (below) from modern fighter jets, but we think it is closer to a Porsche Cayenne, thanks to the high-up and set-back light clusters merging into the wings, and the muscular creases in the bonnet. The shoulder line of the old car started at the tail light and carried on uninterrupted across the top of the doors and headlights, merging into the bottom of the bonnet, making the profile look a bit slab sided (see below). There’s a much more fluid shape to the front wings and the bottom of the windows, particularly where the a-pillar meets the front of the car. Blistered wheel arches and sharper creases down the side make the metal look like it’s been sucked in tighter to the car’s frame. A longer wheelbase adds to the stretched-out and swept-back profile, with chrome trim at the bottom of the doors adding to the illusion of length. Around the back the tail lights have been given a much more sober horizontal angle compared to the old car’s swept-up look. A strip of chrome linking these gives the bootlid more width while tighter creases and a set of lights lower down moves the visual weight to the bottom of the car. There's likely to be more details revealed about th car in the run up to its official debut in mid-September and it's thought likely it will arrive in the dealerships in the middle of 2016. 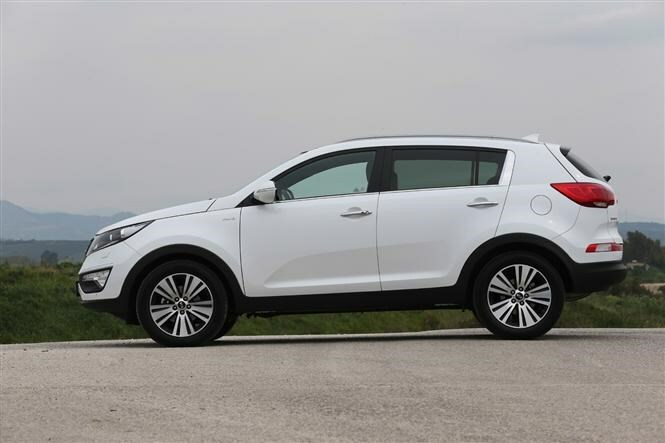 In the meantime, the current version of the Kia Sportage is being kept fresh with new editons plus there are a full range of Kia Sportage lease deals.